Maintenance Instruments - Spectrum Instruments Ltd. 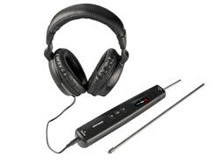 Spectrum's SI-SES-1Electronic Stethoscope includes a headphone for ambient noise isolation, the Stethoscope with 4 x AAA replaceable batteries, 2 x interchangeable probes (70mm and 284mm), and transport case. Spectrum's SVM-140 Vibration Meter is available with an optional ear-piece to allow the operator to listen to a bearing being monitored; the vibration meter comes with a 9V replaceable battery, 2" stinger, 1 x each accelerometer, magnetic sensor mount and sensor cable, calibration certificate, and carry case with strap. The ear-piece and interface cable to support the stethoscope feature can be ordered separately. 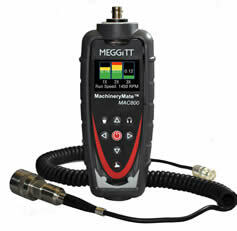 The MachineryMate 810 by Meggitt Sensing Systems includes a headphone feature so the operator can quantify his bearing vibration as well as listen to the bearings uniqe characteristics.